﻿ Transfer factor products. 4Life transfer factor plus. Scientific studies prove it: 4life Transfer Factor supplements offer the most powerful immune system support available. "Test results obtained from an independent, unpublished in vitro experiment conducted at the Russian Academy of Medical Sciences, in Kashirskoe Shosse, Russia. The randomized and controlled in vitro study assessed the effects of 4Life Transfer Factor® Classic, 4Life Transfer Factor® Tri-Factor® Formula, or 4Life® Transfer Factor Plus® Tri-Factor® Formula, versus a positive control (Interleukin-2, or IL-2) on NK cell activity and effectiveness in destroying damaging cells. Blood was collected from healthy volunteers and then incubated for up to 48 hours. (REFERENCE: Kisielevsky MV & Khalturina EO. Unpublished observations)." Transfer Factor was discovered by Dr. H. Sherwood Lawrence, a New York University immunologist, in 1949. 4Life Transfer Factor products have been in the market for more than 15 years and are certified and guaranteed. 4Life’s Health Sciences Advisory Board (HSAB) is a team of renowned medical doctors, naturopaths, immunologists, and microbiologists from around the world. The team’s expertise influences research, guides new product development, and provides a wealth of knowledge to distributors at 4Life meetings and events. 4Life Transfer Factor is a 100% natural product that increases the immune system effectiveness up to an amazing 437% using patented and patent-pending processes. 4Life extracts transfer factors from cow colostrum and chicken egg yolk to provide a wide range of immune system support. Transfer factors aren’t vitamins, minerals or herbs—substances that add nutrients to the body. Transfer factors are molecules that actually transfer immune memory and knowledge from one immune system to another. Transfer factors provide intelligence to the immune system in three very important ways: transfer factor help immune cells identify invading germs and other problems more quickly, transfer factors help speed up the immune system’s response to an invader after it’s been identified and lend a hand in remembering the specific makeup of each germ your immune system encounters, so the next time it comes around, your body knows exactly what it is, and what to do. By activating the NK - natural killer- cells, the immune system serves as a modulator that triggers our body's natural response and remembers potential health threats. 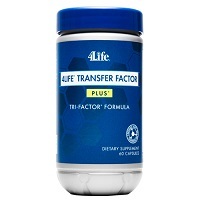 4life Transfer Factor is a daily use immune support natural product. Robust support for the immune system and the entire body is vital. Targeted Transfer Factor products provide specific support for different body systems, including the cardiovascular system, metabolic and endocrine systems, female and male reproductive health, urinary system and brain. Learn more about 4Life natural products: 4Life Science. Go to the product information section to learn more about Transfer Factor or purchase 4life Transfer Factor now. 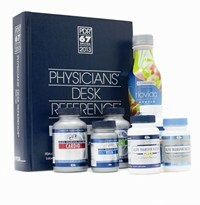 4Life Transfer Factor products are listed in the Physicians' Desk Reference (PDR). Distributed to 500,000 health professionals across the United States, the PDR gives in-depth information about 4Life Transfer Factor and 4Life Transfer Factor Plus Tri-Factor Formula, plus a technical description of the product line and synopses on several scientific studies. The PDR has been a trusted resource for healthcare providers for decades, and it always delivers innovative health information. 4Life Transfer Factor Plus Tri-Factor Formula and 4Life Transfer Factor RioVida Burst Tri-Factor Formula now appear on the highly regarded Cologne List as compiled by the Center for Preventative Doping Research at the German Sport University, Cologne. The Cologne List or Kölner Liste is a collection of nutritional supplements that have tested negative for banned substances. Athletes utilize this list to ensure they are taking supplements that will decrease their risk of unintentional doping. The Cologne List is committed to ensuring safety through tested products. Inclusion requires that products have been tested for anabolic-androgenic steroids. Additionally, the manufacturer must sign a self-disclosure which enables authorities to assess the contamination risk of the product. Learn more about 4life Riovida transfer factor product by watching the Riovida movie. 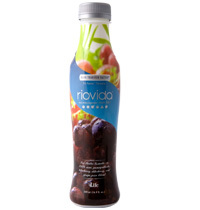 Riovida is a delicious, nutritional juice revolution. It is the one-and-only beverage supplement in the world that combines the immune-boosting benefits of Tri-Factor Formula with antioxidant-rich superfruits, including: acaí, pomegranate, blueberry, elderberry, and purple grape. This intense concentration of active ingredients provides education that supports the body’s ability to maintain everyday health and energy. And best of all, it is delicious. Or purchase Riovida right now to boost your immune system. All 4life transfer factor products are available at 4life online store. Select your country of residence from the top right corner and easily browse through the products available for purchase in your country. Browse and select any products of your choosing, your purchase will be quickly and securely delivered to your home. 4life offers an amazing opportunity for people willing to earn money by becoming a distributor. 4Life has always been—and always will be—on the cutting edge of immune system science. Our protective patents ensure exclusivity, giving you a distinct competitive advantage in the world market. 4life transfer factor products are a must and a basic need in today's world. If you plan to purchase 4life products frequently for your own use, your family or friends, 4life business opportunity is worth a look. © 4Vidas.com All rights reserved. 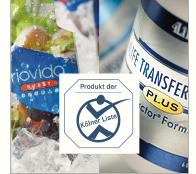 4Life, Transfer Factor and Riovida are registered trademarks of 4life Research. 4vidas.com is an Independent 4Life Research Distributor.